Did you know that veggies aren’t my favorite food? I’ve mentioned it once or twice… Usually vegetables and I have an understanding: I won’t bother them if they don’t bother me. However, I was surprised to hear that The Green Giant™ had snack chips that are made with vegetables, and agreed to give them a try. The Giant Surprise? They’re really good! They sent me Roasted Veggie Tortilla Chips in Zesty Cheddar and Multi-Grain Sweet Potato Chips with Sea Salt to try. Both were really good. (The Tortilla Chips remind me of a lighter and healthier chip that starts with Dor and ends with ito.) 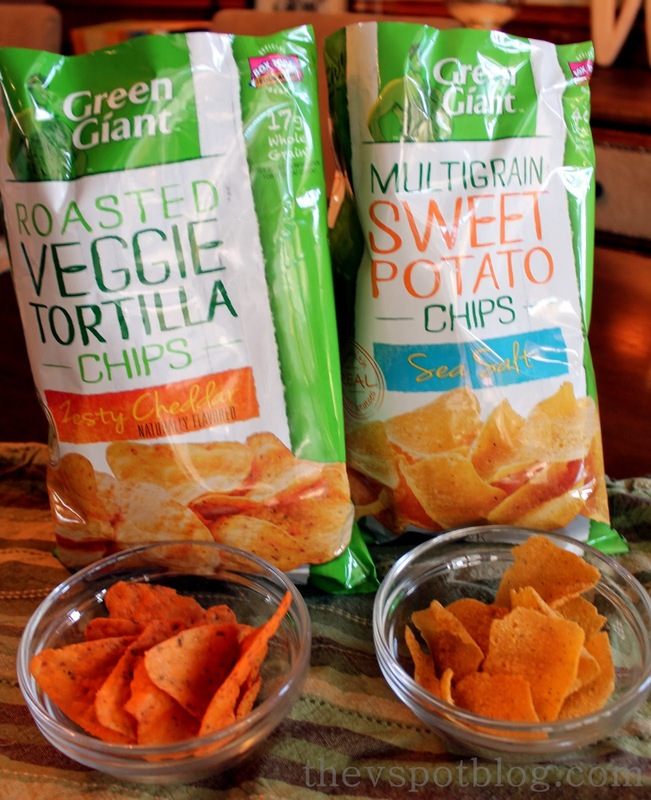 I will SO be reaching for The Green Giant veggie snack chips going forward. They satisfied my snack chip craving, had really good flavor and 17 grams of whole grain per serving (48 grams of whole grain are recommended daily). That means just by munching on a handful of these I had more than a third of my whole grains for the day. Also? They are made with veggies… Corn, bell peppers and natural seasonings. 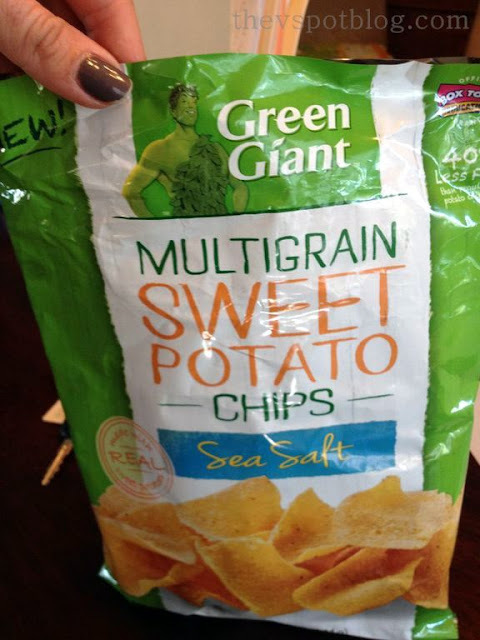 The Sea Salt Sweet Potato Chips have 14 grams of whole grain per serving… a few grams less than the tortilla chips, but since I ate more than one serving (ahem) I figure I am god for the day. Fortunately these yummy chips have about 40% less fat than regular potato chips, so I am not feeling too guilty about my lapse in self control. Was I surprised that they’re full of flavor, AND that I liked them very much? Yes. Was I also surprised that they taste good and are pretty darn healthy too? You bet. For more surprises, please check out The Green Giant’s Facebook page or YouTube channel. I’m assuming they’re probably gluten-free. They look yummy! I can’t wait to try them. Great, now I’m going to have to go get me some to try. They are really good, my husband loves them too! i can’t wait to try them! they look so good! “put on a feedbag and whinny”…bwahaha!! But, I seriously agree. They were SO good! Our family ate the whole bag in one sitting!! I agree Viv – portions are over rated. I never pay attention to those portion sizes either. These look really good – I’ll have to try them.